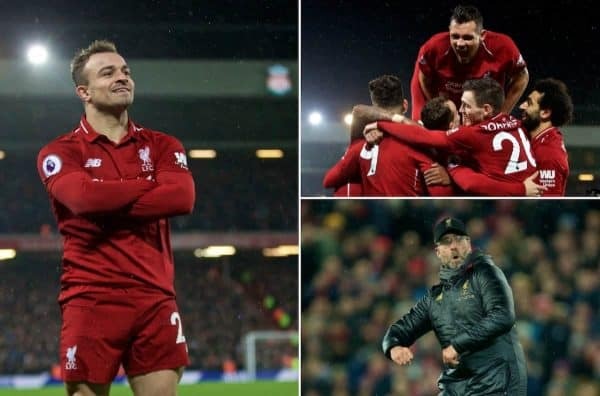 Liverpool returned to the top of the Premier League table on Sunday, beating Man United with a midfield many fans have been waiting eagerly to see together. The Reds wrapped up a massive two weeks by recording a fifth successive victory, and a second over a big rival, with top spot in the league just reward for their efforts. 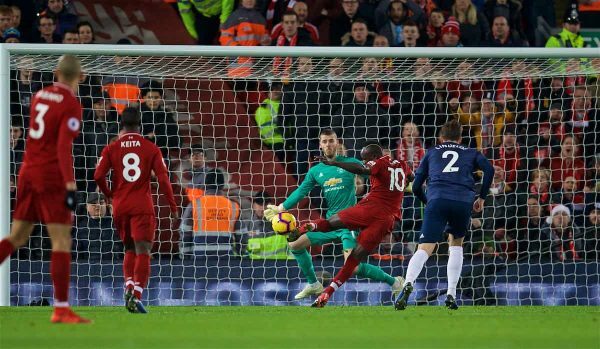 Xherdan Shaqiri‘s late brace proved vital after Sadio Mane scored and Jesse Lingard equalised, but in truth the gap between the teams was enormous—Liverpool were far better than Man United. It was a game which provided many reasons for positivity for supporters and very few downsides—but already attentions are focusing on the next challenges, with Wolves to come on Friday and Bayern Munich the Reds’ opponents in the Champions League in the new year. This Is Anfield’s Karl Matchett (@karlmatchett) spoke with Matt Ladson (@mattladson) and James Nalton (@JDNalton) to discuss the best and worst of the match and the midfield area in particular. KARL: So much! 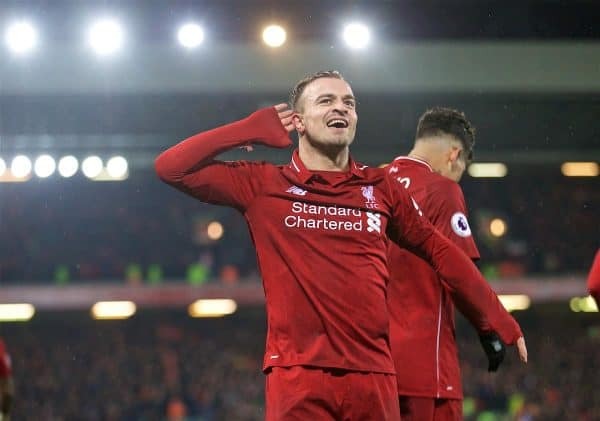 Shaqiri off the bench was of course excellent but it continues a recent trend of Klopp’s, making big decisions at key moments to affect the flow of games. That’s great to see. The way we dominated United from start to finish, other than a 15-minute spell after their goal, was ruthless, impressive and utterly assured. There was no possibility of losing this game at any point. Andy Robertson was immense all game long, corners aside, and this was Roberto Firmino‘s best performance in a long time. MATT: Plenty! There’s many obvious ones, which Karl has mentioned, and we’ll discuss Fabinho more later in the midfield. I think some credit needs to go to Nathaniel Clyne given the situation coming into a game like this. 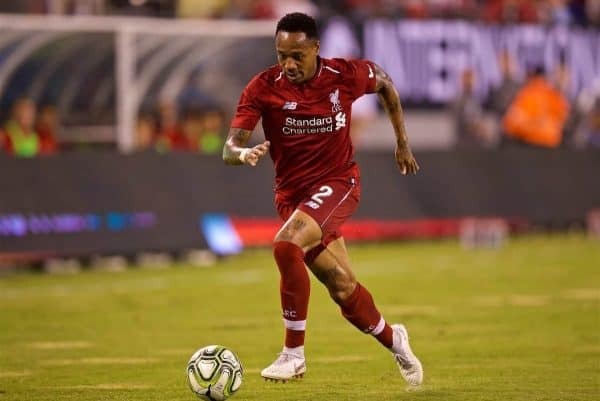 I think we’d all have preferred James Milner there had he been fit, but Clyne did well enough and lasted the full 90, which is really good for squad depth in the coming weeks, we’re going to need him. That first 30 minutes was absolutely superb, dominant play. United couldn’t keep the ball in play let alone play a pass to a teammate. JAMES: This was a landmark victory: Liverpool were able to defeat Man United in the first time in the league under Klopp, the last Premier League opponent the boss hadn’t beaten. That should make a difference when we come up against them going forward, just as fans feel confident about facing Man City now after beating them previously. I think that the aftermath not being a discussion about the right side of Liverpool’s defence is another plus point. Shaqiri may have taken the headlines, but this was a complete performance from the German and his side and they dominated United in every area. KARL: Thought Dejan Lovren was erratic. After Joe Gomez‘s brilliance and the ease with which Joel Matip came back into the team, Lovren now needs some big performances with a run of matches. Here though he was out of position a fair amount, made challenges in areas he didn’t need to be in and his use of the ball wasn’t great. First game back, perhaps. He also played a part in a 10-minute spell of frustration when three-quarters of the defensive line decided they could definitely Agger it into the top corner from 30 yards. You can’t, lads. And oh my word, the corners. Terrible! MATT: Yet another wasted corner. Honestly, we were decent at them early in the season and Klopp said we’d been practicing them more, but maybe we’ve stopped! Aside from the corners, not much was bad per-se, although I do agree with Karl that I was getting worried when Clyne, Lovren and Van Dijk started having shots from 30 yards. Someone make that stop. JAMES: Alisson had been hyped so much prior to this meeting between two of the best goalkeepers in the world that something bad was bound to happen. Luckily his side were able to recover their lead after his error, and he went on to put in a good display—he’s saved the team previously; now they’ve helped make his mistake irrelevant. 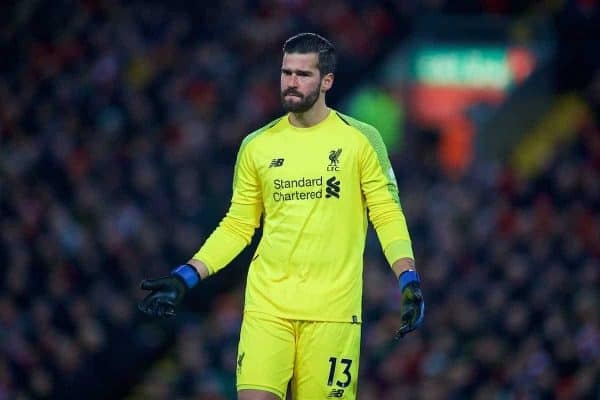 Alisson was part of the Klopp system which completely nullified anything United had to offer, just like the rest of the back line. …and is this the midfield we’ve been waiting to see? KARL: Absolutely. This system is my preference for both alignment and personnel: a double-pivot, Fabinho starting. Aside from that, it allows us to keep two [essentially] centre-forwards in the team and worrying defenders. I expect Naby Keita to develop into one of the regular central midfielders as time goes on but Gini Wijnaldum absolutely deserves his spot. After Virgil, Salah, Gomez and Alisson, he’s probably next in terms of consistency and ability this term. Overall, it’s nice to have options for tactical alterations whenever needed, in-game or for specific functions. MATT: Yes. Fabinho was always going to be the answer, no matter the hysterical reactionary nonsense early on in the season, and he’s shown it now. He plays more vertical, quick, incisive balls that break the lines compared to other options. 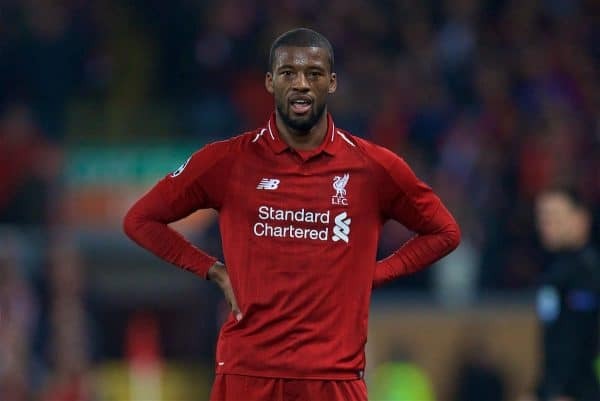 Wijnaldum has really, really upped his game this season and was very impressive. He seems to enjoy playing alongside Fabinho in a two-man middle. And Keita is a superb player, not quite up to speed yet, but he’s starting to show he will be soon. A goal for him would really do his confidence good and see him kick on I feel. JAMES: I think Liverpool are in a good position midfield-wise. The only thing which could make it better is the return of Alex Oxlade-Chamberlain. Maybe he needs to be ‘sent to Barcelona’ to undergo a miraculous De Bruyne type recovery. But for now this midfield looks like Liverpool’s best, with Henderson and Milner providing adequate backup options on the sides of the three. Though I do think that the No. 6 should be a choice between Fabinho and Wijnaldum, or both in a double pivot.